LABOR DAY WEEKEND marks the traditional close of the summer driving season, but for those of us who live in a college town like Boston, it's also when the throngs of arriving students clog the city's streets with their cars, and empty parking spaces become more elusive than a winning Powerball ticket. But not all the automotive news is bad. Washington is poised to ease up on the federal miles-per-gallon mandate known as CAFE, for Corporate Average Fuel Economy. 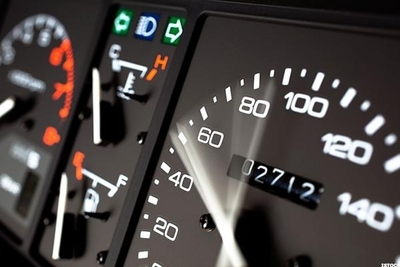 On Aug. 2, the Environmental Protection Agency and the National Highway Traffic Safety Administration announced their intention to freeze the fuel-economy standard when it reaches 37 mpg in 2021, and keep it at that level for the next five years. If adopted, that will represent a sensible correction to the course set by the Obama administration, which had proposed to keep ratcheting the fuel-economy requirement upward, to a fleetwide average of 54.5 mpg by 2026. Like just about everything the Trump administration does, the projected change to CAFE standards has set off a frenzy of apocalyptic rhetoric. According to the Sierra Club, the real explanation for the new fuel-efficiency rule is that President Trump and EPA chief Andrew Wheeler are interested in "lining their friends' pockets" and "in favor of destroying clean air and healthy communities." Environment America, another activist group, accuses Trump officials of "rolling back the most effective tool we have to fix global warming." Senator Tom Carper of Delaware, the ranking Democrat on the Environment and Public Works Committee, charges the White House with "doubling down on the dirty vehicles of the past" in order to "knowingly increase air pollution." This, not to put too fine a point on it, is crazy talk. To begin with, the administration isn't "rolling back" anything. The current average fuel-economy requirement is 34 mpg, so pausing it at 37 mpg in 2021 will first mean a nearly 9 percent increase in overall fuel efficiency over the next three automobile model years. The 54.5 mpg standard touted by the Obama administration was never chiseled in stone. Federal law actually prohibits fuel-economy standards from being imposed for more than five years at a time, so 54.5 mpg should never have been regarded as anything more than an Obama-era velleity. "Doubling down on the dirty vehicles of the past"? That's a snappy sound bite, but it's the exact opposite of the administration's goal, which is to get more motorists out of older, less-efficient vehicles and into newer, cleaner ones. Requiring automakers to meet ever more rigorous mileage mandates has pushed up the price of new cars. The automobile industry made its peace with the Obama administration's 54.5 mpg standard, but everyone knew that it would mean notably higher sticker prices. "The cost of the average vehicle will rise," warned Edmunds.com, the highly-regarded automotive website, in a detailed 2013 analysis of the Obama fuel-economy rules. To meet such a steep mileage target, it explained, "such expensive technologies as turbocharging, direct fuel injection, 8- to 10-speed automatic transmissions, [and] electric drive" would have to be "spread widely throughout the vehicle fleet." Sure enough, prices have risen and motorists have been holding on to their current cars for longer. Result: The average age of all cars on the road in the United States is now about 12 years, a record high. Granted, price is not the only reason Americans are waiting longer to replace their cars. Modern vehicles are more expensive, but they are generally more dependable, too. Still, no one denies that price is a powerful driver of consumer decisions, and the administration calculates that its proposed mileage standards would drop the cost of a new vehicle by an average of $2,340. That in turn will mean an additional 1 million new car sales over the next decade. Perhaps those sales projections will prove overly optimistic, but it is asinine to accuse the administration of wanting to keep dirty old vehicles in use. Most bizarre of all are those charging the Environmental Protection Agency with being against clean air. The Trump administration's proposed new rule will lead to more cars that are cleaner, safer, more fuel-efficient, and more affordable. CAFE standards weren't created to combat air pollution; their purpose was to reduce oil consumption in the wake of the Arab oil embargo of 1973. Nevertheless, one of the great regulatory success stories of modern times has been the EPA's war on pollution from cars and other vehicles. New cars today emit 99 percent less pollution than new cars did in 1970, when the Clean Air Act was enacted. Air pollution from all sources has been cleaned up, but the reduction in tailpipe emissions has arguably been the most dramatic of all. 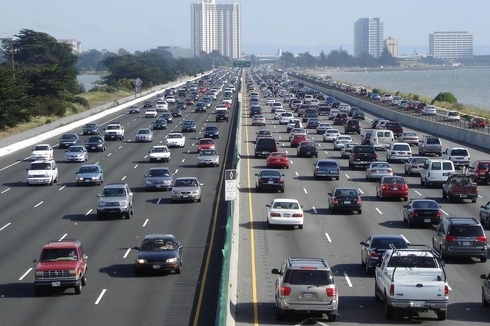 Between 1980 and 2015, even as the number of vehicle miles driven in America more than doubled, pollution from those vehicles — carbon monoxide, nitrogen oxide, particle emissions, hydrocarbons, lead — was slashed. On some issues, the Trump administration can't be faulted strongly enough. But in proposing to ease up on the extreme Obama mileage standards, it is acting with prudence. If adopted, the new rule will lead to more cars that are cleaner, safer, more fuel-efficient, and more affordable, with no discernible impact on air quality. There are times when apocalyptic panic is justified. This isn't one of them.